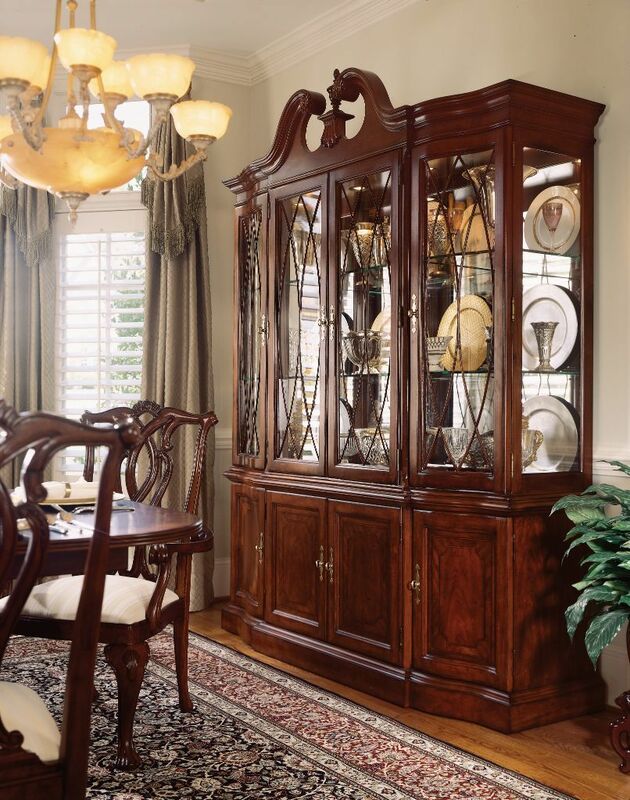 Breakfront pediment china is formal and makes a great ending to a formal dining room setting. Very traditional styling and perfect with any table in this group. 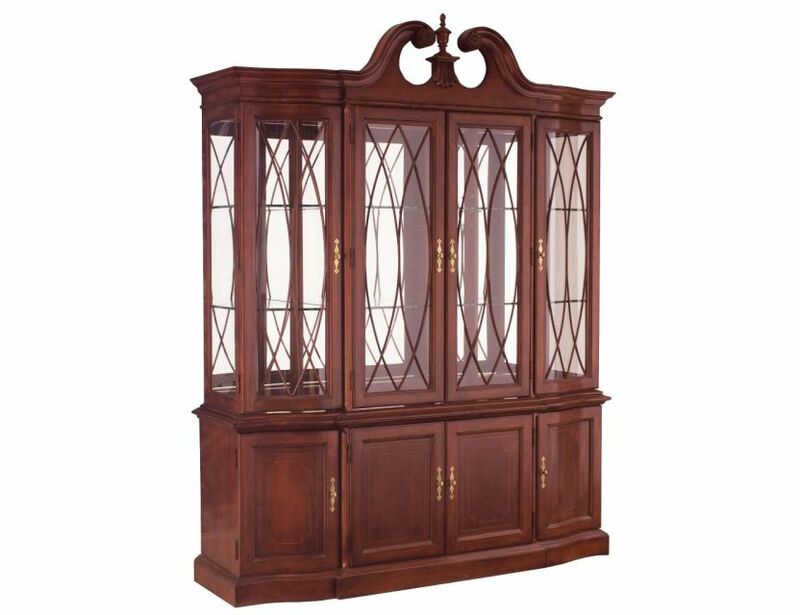 Base has four doors with silver tray, tray drawer and three adjustable shelves. 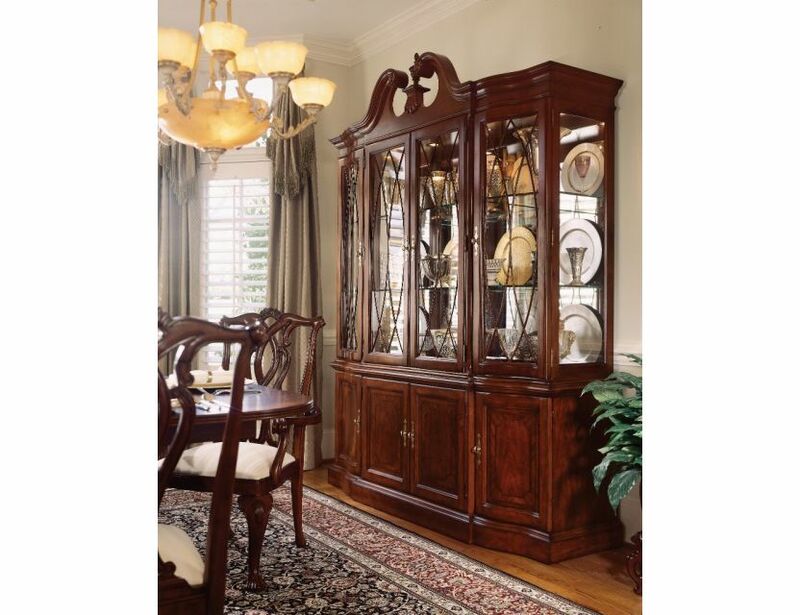 Deck contains four doors with six adjustable glass shelves with plate grooves, touch lighting and a perfect ending to any traditional dining room.